Prickly and Bitter: A fibre-filled way to start your day: Eid Mubarak! A fibre-filled way to start your day: Eid Mubarak! 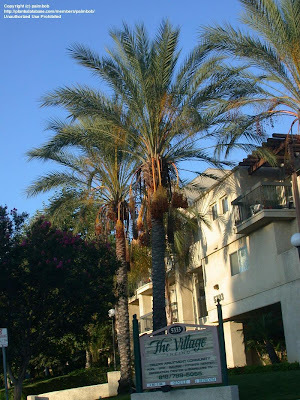 Date palms are magnificent trees (although, they're not truly trees because they're monocots and can't produce true wood), and not just because of their genus name (seriously? How cool is the genus Phoenix?!). And to be named after a dinosaur (the pterodactyl)? Awesome! 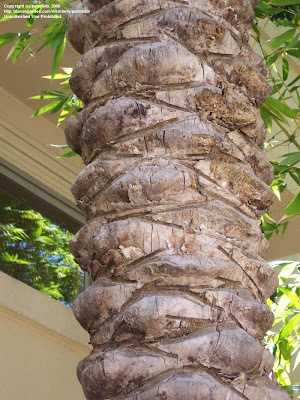 OK, so I don't actually know for sure the date palm was named after a giant mythological bird that can be reborn multiple times and a flying dinosaur, but a girl can dream. 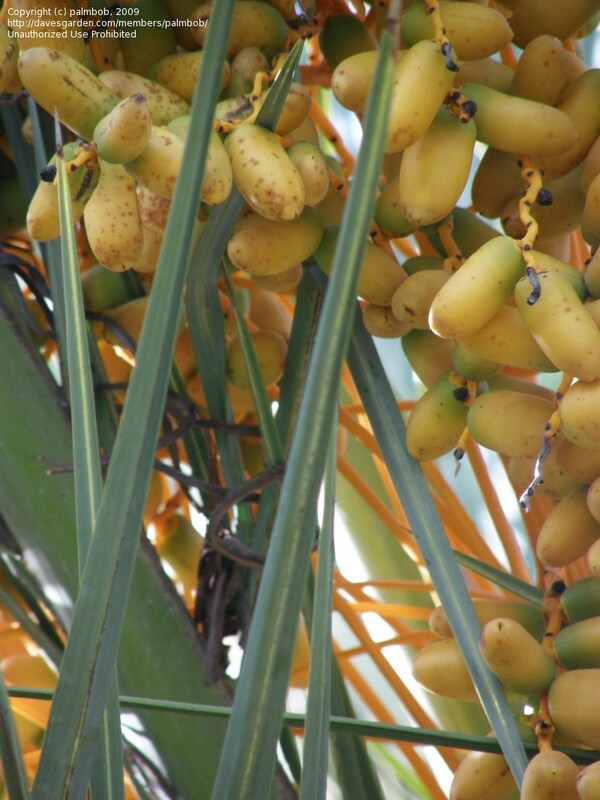 The date palm was likely first domesticated to be an edible palm species in Iraq (most palm fruit you do not want to eat; many produce pretty potent fruit that would make you very sick very quickly), although a closely-related species was also domesticated in and around Brazil. 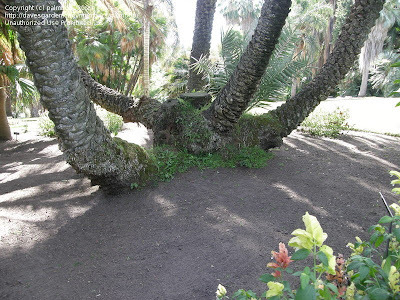 They are now becoming very popular ornamental species in tropical locations because of a few ideal characteristics: they are long-lived, they are drought tolerant, are highly wind tolerant, and are tolerant of salt spray on their trunks and leaves (even when young). Dates have been eaten as fruit for thousands of years. There's even evidence of date fruit being left as an offering in ancient Egyptian burial sites and in mummy sarcophaguses (sarcophagi? You get what I mean). No one is quite sure what the symbolism of leaving such fruit represents, as date pits are present with some bodies but not others. There is the suggestion that it might have to do with the time of year the body was buried (more on this later). 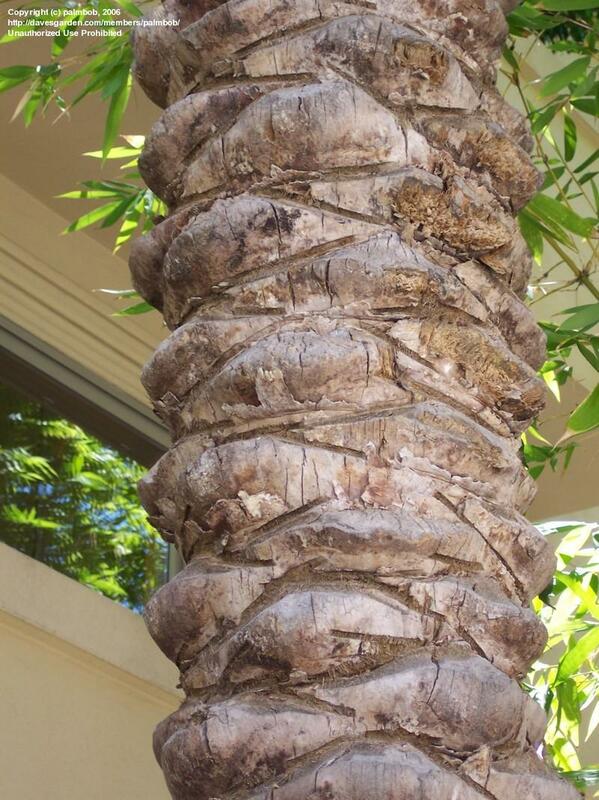 Date palms are dioecious, meaning they have completely separate male and female plants. 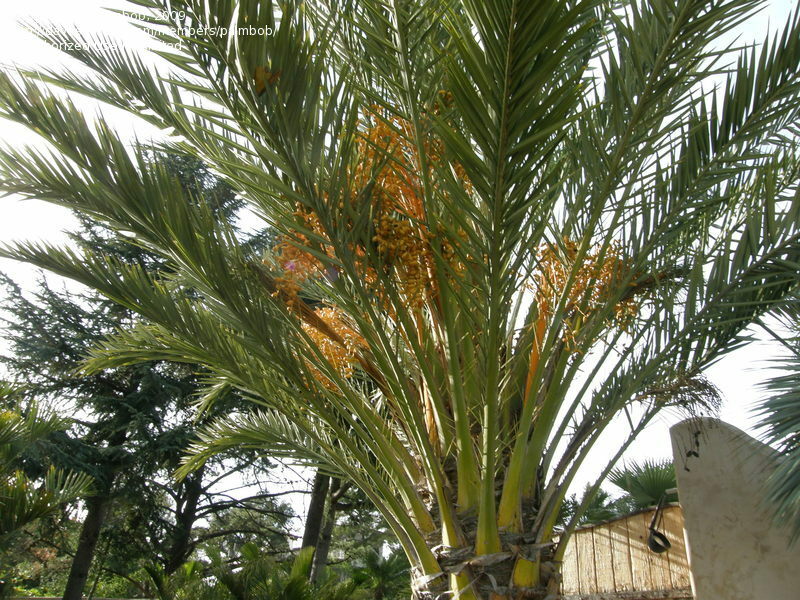 In order to have a date palm plantation, one must plant both male and female trees in order to get a crop (the male tree only provides the pollen, the female tree is where the fruit are produced). Unfortunately, the male plants are simply a waste of space in the plantation and so are usually not planted (sorry to all the men out there! ), and instead alternate pollination methods are used. 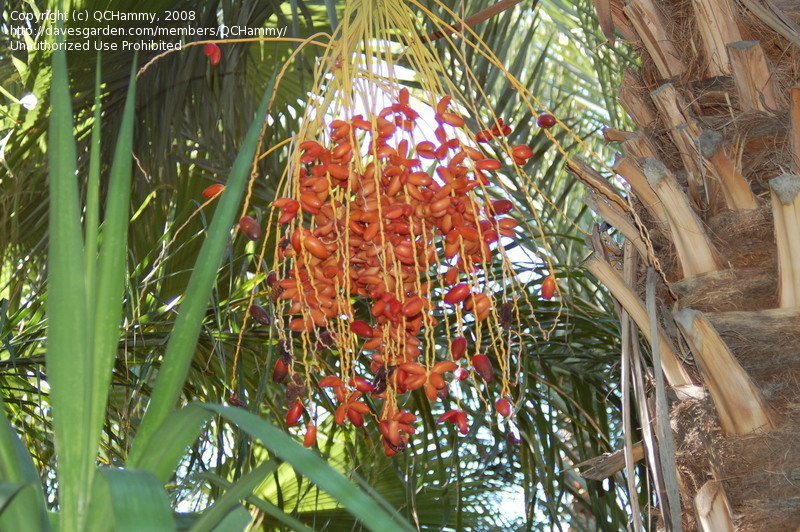 In certain areas, date palms are such important crop species that male flowers complete with pollen are often sold in jars in outdoor markets around the time that pollination would be occurring. If you were a date palm farmer, you would buy a jar and sprinkle the pollen in front of a large fan that would blow it across your plantation. I'm sure seeing this in person would be absolutely wild; not to mention it would really wreak havoc on your seasonal allergies if you had them! 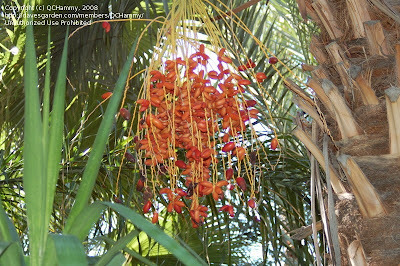 There are other ways to hand-pollinate female date palm flowers; in Iraq there are highly trained pollination personnel that climb the trunks using only a rope and pollinate the flowers using either a hand-fan or paint brush. The fruits of these trees are remarkably nutritious, and are one of the best sources of potassium of any edible plant. They also contain a surprisingly high amount of protein, are a good source of dietary fibre, and a good source of zinc (an element very important in the proper functioning of many of the enzymes and proteins in the body). Aside from eating the whole fruit (which may be eaten stuffed with a variety of yummy things like almonds, cream cheese or a more savoury version with tahini or hummus), there is a beverage called "palm wine" that is produced from the sap of the plant in India. It is fermented using traditional methods dating back thousands of years (even today! ), and consumed at special occasions. In Pakistan, there is a syrup-like substance that is harvested from the plants and used to seal leatherwares and to prevent pipes from leaking. The sweet sap of the trees might also be condensed and evaporated to produce palm sugar, also called jaggery. Date palms also have a significant role in religious symbolism. 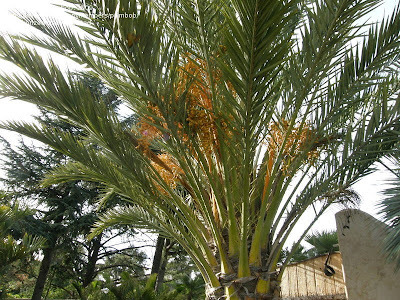 Christians use the leaves of this tree to make crosses on Palm Sunday, a symbol to represent the palm leaves that were scattered on the ground for Jesus' entry to Jerusalem. But, of course, I wouldn't have chosen to profile this plant today if I wanted to talk about its symbolism to the Christian faith; I would have done that near Easter! Eid Mubarak, Happy Ramadan, to all of my Muslim readers! Will this plant really repel mosquitos?